In 1961, F. A. Harper of the William Volker Fund, and later the founder and president of the Institute for Humane Studies, asked Murray Rothbard to list and opine on the “outstanding libertarian educators of our time.” Rothbard responded in a letter dated July 9, 1961. Rothbard construed the term “education” to mean “informal influences as well as formal schooling,” and identified nine outstanding and two “marginal” educators, while dismissing several other prominent candidates. In order to understand Rothbard’s list, we should keep firmly in mind what Rothbard meant by the term “educator” as well as his and Harper’s definition of the word “libertarian.” Harper was not requesting, and Rothbard was not compiling, a list of economists or, more broadly, social scientists whose work greatly contributed to the scientific foundations of liberty. Rather he sought to identify those whose publications, teaching, or activism inspired others to study the science of liberty. 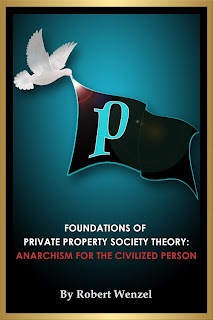 Furthermore, although both Harper and Rothbard were themselves proponents of anarcho-capitalism, Rothbard’s list was open to those who had moved beyond the hoary and ad hoc classical laissez-faire prescription to rigorously and consistently quest for a society based on liberty, whether or not their desideratum was a stateless society. The second and final “marginal inclusion” on Rothbard’s list is Milton Friedman. 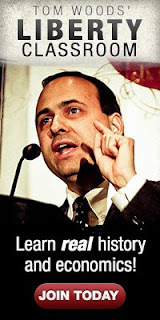 According to Rothbard, Friedman “by force of his intelligence, and his keen interest in students, has become the doyen of the ‘younger Chicago school,’ which has a fine esprit de corps, and which has the best economic writing now being done.” Nevertheless, Friedman does not rank as an “outstanding” libertarian educator because the Chicago school and Friedman are only libertarian in narrowly defined areas.” Note that in 1961, Rothbard respected Friedman as an economist and as an effective educator in the libertarian movement broadly construed, although he had substantial disagreements with much of Chicago-school economics. In 1963, Rothbard’s assessment of Friedman began to change for reasons that will be discussed in a future post. Like this letter to his libertarian mentor Harper, even the most casual of Rothbard’s thousands of memos and letters, is written in a scintillating style and brims with novel and provocative ideas and insights. We look forward to sharing more of Rothbard’s wit, insight and unparalleled scholarship in future posts in this series. I'm just one of the Forgotten Men that Sumner talks about, but the only reason I ever read Human Action and some Rothbard was because of Friedman's Free to Choose videos. It's what set me down my libertarian, now anarcho capatalist path. I've influenced friends, but that's about it for my audience. That's one reason I've never dived into some of the other names on the list. Unless you're an influential libertarian thinker like Mr Wenzel, is there a point of reading past Mises or Rothbard?